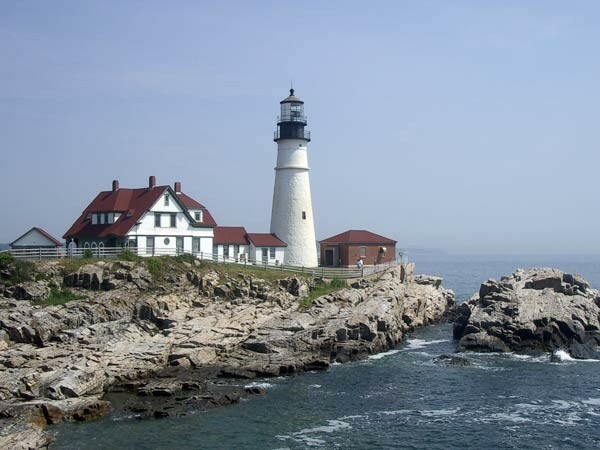 Visit Maine Like A Mainer! Plan Your Trip (Part 2)! We’re wrapping up our Visit Maine Like A Mainer! series with suggested itineraries, to help plan your trip to Maine. Last time we proposed a wilderness itinerary, heading up through the wooded mountains and lakes of Maine. This time we’ll proceed north along the coastal route, and our final installment will give several optional side trips and extensions to find even more of the areas that make this state a true “Vacationland” (as it says on our car license plates). Crossing the Piscataqua River from Portsmouth, New Hampshire to Kittery on US-1 (we’re not going to be on the Interstates, except when necessary), you may catch sight of Whaleback Ledge lighthouse, in the mouth of the river, between the two states. Coming north (after the Kittery outlet shopping) you’ll reach Cape Neddick, home of Nubble Lighthouse, on an island known as “the Nubble”, just offshore. Spend the night in Kennebunkport, and enjoy the fine dining, Cape Porpoise (and Goat Island Lighthouse and Nunan’s Lobster Hut), the beach, Walker Point, and all the beautiful old homes along Route 35 between Kennebunk and Kennebunkport. We’ll stay in Freeport for our next stop (OK, so we’re a bit prejudiced…). Not only are there nearly 200 shops, outlets and restaurants in Freeport, but it is also the home of L.L. Bean, and its several stores. Plan either a day, or parts of multiple days, for shopping. 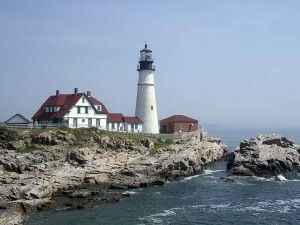 For one day, we’ll go to Portland, visiting Portland Head Lighthouse (commissioned by George Washington) and Cape Elizabeth (Two Lights) Lighthouse, and catching sight of Ram Island Ledge Lighthouse, Spring Point Ledge Lighthouse, and Portland Breakwater Lighthouse. Walk along Commercial Street in the Old Port, enjoying the eclectic shops, restaurants, and art galleries. The Longfellow House and Museum are also very interesting, as is the Portland Museum of Art. Spend a couple of hours on one of Portland Schooner Co.’s antique schooners, touring Casco Bay, and possibly viewing some of the lighthouses from the water. Another day will give time for a drive out Orrs Island and Bailey Island, north of Freeport, where you can drive to Land’s End over the world’s only cribstone bridge. Farther north on US-1 is Bath, whose Maritime Museum gives the rich heritage of shipbuilding in the region. Out the peninsula south of the Kennebec River (from Bath) is Popham Beach State Park and Civil War Fort Popham. On the other side of the river, driving out Georgetown Island, is Reid State Park, its rocks and beaches, and Five Islands, with its wonderful views and lobster shack. Farther north on US-1 is Wiscassett, home of Red’s Eats, another famous lobster shack, and also home of numerous antique shops. A bit farther on is Boothbay Harbor, a wonderful working Maine harbor. Returning to US-1 and going north, exit at Damariscotta, noting the picture postcard view as you exit US-1, then pass through town, out the Pemaquid Peninsula, to visit Pemaquid Point Lighthouse, commissioned by John Adams. Returning, take Route 32 through New Harbor to Waldoboro, stopping for blueberry pie at Moody’s Diner. In Thomaston, don’t miss the Maine State Prison Store, where there are great buys on goods made by the prisoners. Turning off US-1 you can find your way to Port Clyde, and Marshall Point Lighthouse. 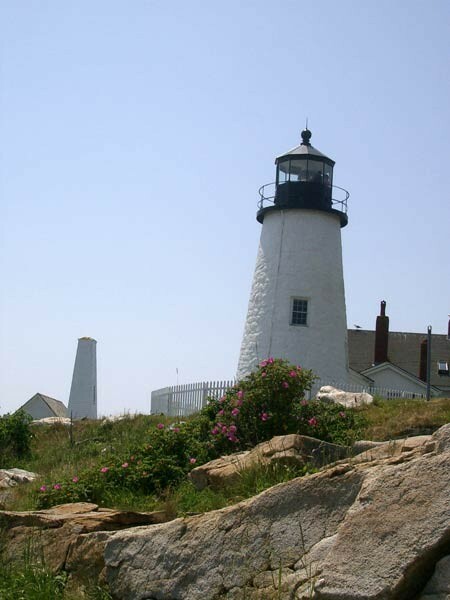 On the way back toward US-1, head for Owl’s Head, where you can visit the Owl’s Head Transportation Museum, and Owl’s Head Lighthouse, with its commanding views of Penobscot Bay. In nearby Rockland, visit the Farnsworth Art Museum, home to many Wyeth works. After spending the evening in Camden (eat in one of the many fine restaurants there) with its shops, enjoy the views from the town park overlooking Camden harbor, or on the way out of town, visit Camden Hills State Park, where you climb up above the town for an even more impressive view. Later stop in Belfast for a quaint town with a beautiful harbor. Travel on the Mount Desert Island, staying in nearly any of the towns or villages there, including Bar Harbor, Northeast Harbor, Southwest Harbor, Somesville, or Bass Harbor. Enjoy the magnificent views all around the island, but don’t miss a sunrise (or sunset for those who are not morning people) at the top of Cadillac Mountain in Acadia National Park. Enjoy tea and popovers at Jordan Pond. Be sure to visit the Schoodic Peninsula, just north of Mount Desert Island (for that matter, also the Blue Hill Peninsula, just south of Mount Desert Island, as well). Its isolated beauty harkens back to a Maine of days gone by. We’ll add a few extensions and side trips in our next (and final) post in this series. Get ready to make your plans to visit Maine!